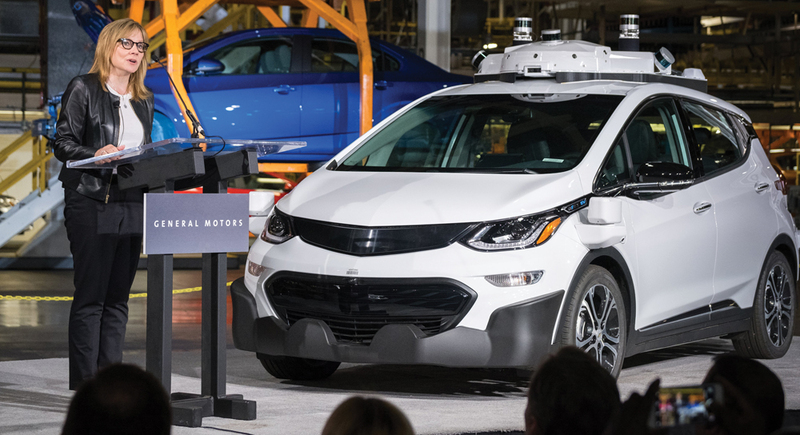 As the automotive and technology sectors stand at the precipice of a brave new world of autonomous and connected vehicles, Mary Barra, chairman and CEO of General Motors Co., won’t allow the automaker to take a back seat to anyone. Every morning, millions of Americans stop for coffee or donuts on the way to work. For many of them, the process is about to get a little bit quicker and easier, at least if they own a late model General Motors car or light truck. 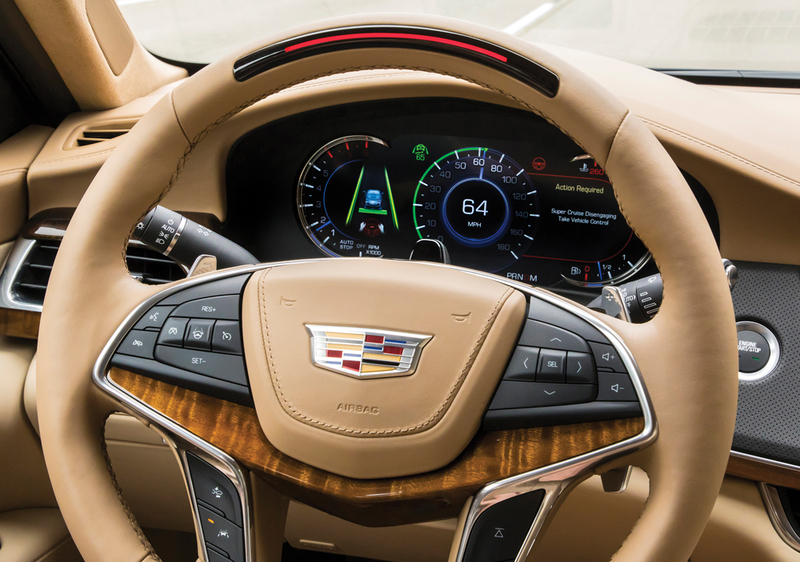 Simply by tapping an icon on the touchscreen of vehicles like the Cadillac CT6 sedan, a driver or a passenger can place an order with Starbucks, Dunkin’ Donuts, or other establishments and it will be waiting for them at the drive-thru lane. The process alleviates ordering items via a smartphone while driving. Using the new GM Marketplace service, as many as 4 million motorists also will be able to make a reservation at restaurants such as TGI Friday’s, or reserve a hotel room through Priceline. They’ll even be able to order groceries via a new online service, delivery.com. GM Marketplace will greatly expand what owners of General Motors vehicles already can do with the older OnStar service while on the go. It’s the first of a series of new “personalization” services that will roll out over the next 12 to 18 months — just in time for another major project the Detroit automaker has in the works. In November, GM revealed an unexpectedly ambitious plan to launch production of its first fully driverless vehicles by 2019. They’re initially expected to go into ride- and car-sharing fleets like Lyft and GM’s own Maven. After all, if you’re not going to be driving, the company assumes you might want to be shopping, working, or watching a movie. 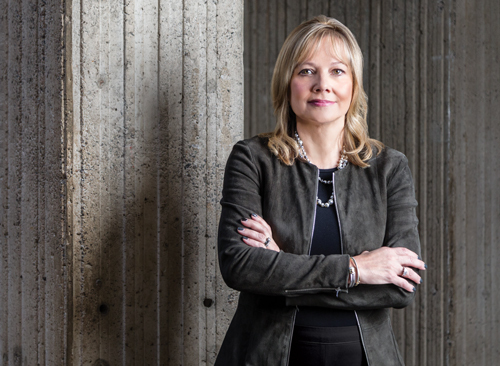 Leading the way through this connected new world is Mary Barra, chairman and CEO of General Motors Co. “We’re going to see more change in the next five years than we have in the last 50,” Barra says. Avatar, Anyone? // Click here to read more. An agent of change, the electrical engineer says virtually every aspect of the automotive business is in transition, from the way vehicles are designed, engineered, and assembled to the process of marketing, selling, delivering, and servicing those vehicles. At the same time, it’s not even clear who will own and operate automobiles in the decades ahead. One recent study by the Boston Consulting Group forecasts that millions of Americans may no longer purchase cars by 2030, turning instead to ride-sharing. All of which raises fundamental questions about GM’s core business model. But Barra has already begun shaking basic assumptions that have shaped the way the company has operated for much of the last century. She’s even challenged the notion that bigger is better. Long the world’s largest automotive manufacturer, GM has abandoned its operations in Russia, India, Venezuela, and South Africa since she took the company’s reins four years ago. Most dramatically, Barra last year pulled out of the key European market, selling the financially draining Opel/Vauxhall subsidiary to France’s Peugeot PSA. The automaker also may pull out of South Korea, due to slow sales. From a symbol of the slow and stodgy Rust Belt, the 56-year-old Barra is trying to reposition GM as the Detroit counterpoint to fast-moving Silicon Valley. While Barra cautions that, “We’re not going to flip a switch and change the industry overnight,” she will have to cover more ground during her tenure than perhaps anyone since Alfred P. Sloan transformed what was once a struggling and disorganized enterprise into a world leader back in the 1920s and 1930s. Her roots in General Motors run deep. Her father, Ray Makela, was a union man and a tool-and-die maker who spent 39 years with the Pontiac division. Born in Royal Oak but raised mostly in Waterford Township, Mary Teresa Barra finished Waterford Mott High School and stayed close to home for college, going less than an hour north to Flint’s General Motors Institute — today known as Kettering University. Like her father, she started working for Pontiac as a co-op student when she was 18 years old. Back then, she was one of 20,000 people — almost all of them men — working at the division’s plant in its namesake Pontiac. It was apparent to those who knew her then that she would find a place in the company, but in the classic “man’s world” of manufacturing, few would have expected Barra to shatter the glass ceiling. After finishing college, Barra was offered a full-time job at GM, part of a small but groundbreaking first wave of women the company had begun to hire. It was a time of major change for both General Motors and the industry at large. America itself had been hammered by twin Mideast oil shocks in the 1970s, something that opened the door for fuel-efficient Japanese imports. A quarter century earlier, GM had grown so large the U.S. Justice Department had threatened to break it up. But now, it was starting to bleed market share and, by 1981, what was still the world’s largest automaker had posted its first loss in nearly six decades. GM began frantically looking for the right formula for a very different environment, ping-ponging from one strategy to another under then Chairman and CEO Roger Smith. An accountant by training, the late Smith once confided in an interview that, “I never understood people.” That was apparent in a strategy heavy on robotics, including a parts plant in Saginaw that was supposed to go “lights out” — that is, operate virtually unmanned. Smith’s ascension marked the apogee of the bean counter era, but it was a nadir for GM itself; in 1986, the company lost an unprecedented six points of market share while its balance sheet started to fracture. By the end of the decade, Smith’s hand-picked successor, Bob Stempel, was forced out and GM came perilously close to having to declare bankruptcy, although few at the time realized it had only delayed the inevitable. Ironically, corporate chaos can, at times, open new doors, especially for a hard-driver like Barra. Her talent and skills drew attention from senior executives like Don Hackworth, GM’s one time manufacturing chief. Barra landed a chance to finally go out of state, this time for a company-financed stint at Stanford University where she earned an MBA before returning to Michigan. Soon, she was one of the first women in the auto industry to run an entire plant. 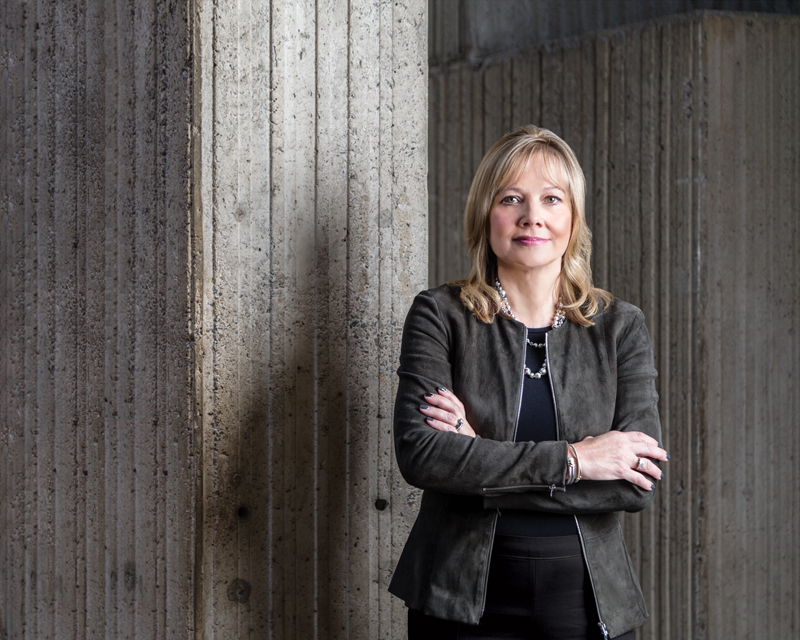 By 2008, Barra cracked another glass ceiling when she was named vice president of global manufacturing engineering. 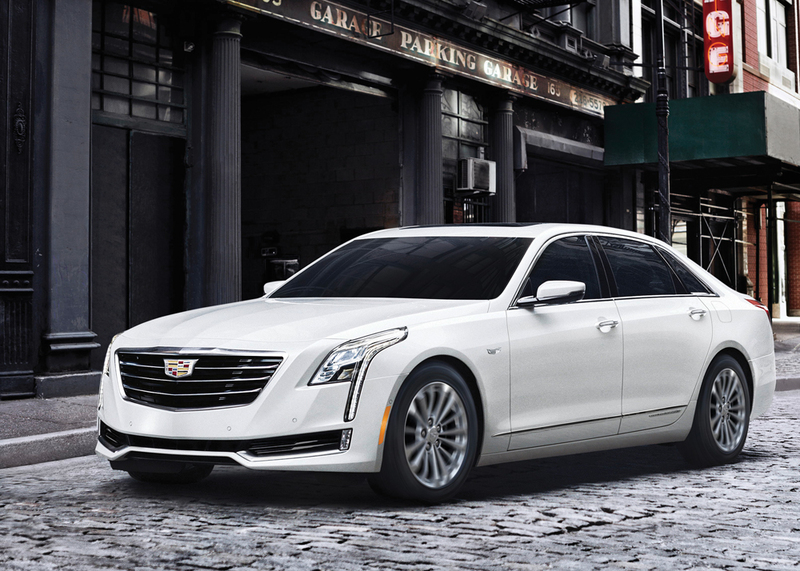 The Cadillac CT6 luxury sedan comes equipped with Super Cruise, a self-driving feature for highways. More advanced hardware will debut in the coming months, including self-driving cars. A year later, Barra was appointed head of global human resources. At the time, some wondered whether she was being sidetracked by her mostly male colleagues. But then the bottom fell out. GM was stuck with the tab it had narrowly avoided paying two decades earlier as the auto industry was routed by likely the worst sales downturn since its founding in 1908. No longer the world’s largest automaker — a title ceded to Toyota — GM filed for an unprecedented bankruptcy on June 1, 2009, reporting $82.3 billion in assets and $172.8 billion in debts. The Chapter 11 filing followed rival Chrysler by little more than a month. For GM, the future had already been ordained. On July 10, most of its debts and a large chunk of assets, including unwanted parts and assembly plants, became Motors Liquidation Co., or “Old GM”; “New GM” emerged from bankruptcy with the support of a massive federal bailout. As part of the automaker’s colossal restructuring, then CEO Rick Wagoner was ousted ahead of the filing. Much of his management team followed him out the door. Barra was among the few exceptions, and she quickly caught the eye of her new bosses, especially Dan Akerson, who was named CEO in September 2010. The following year, the former telecomm executive appointed Barra global product development chief, a position made even more powerful with the addition of global purchasing and supply chain responsibilities. Few were surprised when Akerson announced plans to leave GM late in 2013. Though he earned kudos for guiding the company through tough times and oversaw its critical IPO, he was a square peg in GM’s round hole, admittedly never really comfortable with the distinctive world of automotive manufacturing. What did take everyone by surprise was Akerson’s decision to name Barra as his successor. She officially became CEO on Jan. 15, 2014, adding the title of chairman two years later. If skeptics questioned Barra’s appointment as the industry’s first woman CEO, she was about to undergo a trial by fire. For the previous decade, a cadre of GM managers and engineers had carefully covered up information about defective ignition switches that would ultimately lead to more than 100 fatalities. Barra was ordered to march up to Capitol Hill, where she was grilled for hours by lawmakers doubly angered that tax dollars had been used to bail out GM. Plaintiffs’ attorneys, meanwhile, raced to line up clients, filing hundreds of individual and class-action lawsuits. Mary Barra says new products like autonomous vehicles could propel the automaker back into the European market, which it exited in early 2017 due to years of losses. “We have to be good stewards of our investors’ capital,” Barra says. “We need to generate an appropriate returns, we’re going to invest where we see better opportunities. GM had a history of digging in its corporate heels over safety issues. In the 1980s, it won a major victory by going to court to block an order by the National Highway Traffic Safety Administration to recall millions of midsize X-Cars due to allegedly faulty brakes. Barra instead apologized, and created a corporate office for a new safety czar. She also ordered the creation of a victims’ compensation fund, tapping expert Kenneth Feinberg, who had overseen similar efforts for 9/11 and BP oil spill victims, to run it. In the process, she signed off on 84 new recalls affecting 30 million GM vehicles, more than any automaker had previously called back in a single year. Although nearly two dozen current and former GM executives eventually were punished for their roles in the cover-up, analyst Krebs says that probably didn’t go far enough; but, “In the end, she led the company well through the crisis,” she says. Barra has also won praise for overseeing a major push to improve GM’s long-lagging quality. Over the last several years, it has surged to the top of the charts in a number of studies — as recent commercials by the Chevrolet brand have highlighted — including the influential J.D. Power Initial Quality Survey. Barra also gets high praise for pulling together what some now see as one of the best management teams in the business. That includes President Dan Ammann and global product czar Mark Reuss, the son of a former GM president and someone who was viewed as a serious rival to replace Akerson. Barra also appointed a number of women to senior management positions, including manufacturing executives Alicia Boler-David and Kathleen Dilworth, as well as Cathy Clegg, who has the additional responsibility of serving as North American labor relations director. GM has delivered some solid results under Barra. While it went nearly $3 billion in the red for the third quarter of 2017, that was largely the result of one-time charges covering the sale of the Opel/Vauxhall subsidiary. The deal removes the perennial losses GM racked up in Europe for more than two decades. Before taxes, GM earned $2.5 billion, or $1.32 a share — almost 20 percent more than the per-share consensus forecast on Wall Street. The numbers seemed to resonate with long-skeptical investors. Frequently stagnant, GM shares posted some of their biggest gains since the November 2010 IPO raised $20.1 billion, although the stock has been backsliding in recent weeks. That’s not a surprise. While Chuck Stevens, GM’s CFO, suggests that “the way to think about the business is obviously continuing operations and the core business,” he says many investors are looking further into the future, trying to figure out precisely what GM hopes to become under Barra. There’s a clear indication the chairman and CEO doesn’t view it as business-as-usual. “She has the courage to make the tough decisions and recognize that bigger isn’t always better,” says Matt Simoncini, president and CEO of Lear Corp., a Tier 1 auto supplier in Southfield. “That’s difficult to do as a CEO, and doubly difficult when you grew up inside a business” that valued being the biggest player in the industry. What’s clear is that change is coming, and fast. That’s the sort of thing that keeps many executives up at night. It may be one reason Simoncini says he’s impressed by Barra and the healthy “work-life balance” she has promoted since taking the helm.